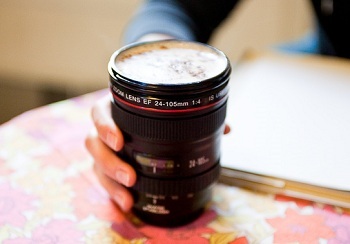 I can’t resist cross posting The Camera Lens Mug here at Brewed Daily. I originally posted about it at Baking Bites because I love the way it combines food and photography. I’m tempted to try out a homemade version of the concept with an old lens of my own, but really I’d be a lot better off just buying one!